A big thank you to our generous SFB community! Once again our families, friends and faculty of SFB stepped up and helped to provide foster youth with a joyous holiday celebration. The SFB community raised $800 and we are truly grateful for the support. The youth had an amazing time at the party. They played games, had a hot meal and were entertained by a balloon artist, a sketch artist and make-up and hairs stylists. And of course everyone was a winner at the bingo table, a popular activity every year with many of the gifts and prizes supported by the SFB Giving Tree. For many of the foster youth in attendance, this was the only holiday celebration and gift that they would receive during the holiday season and we are truly grateful for the generosity of our community and for helping to make it such a special day. 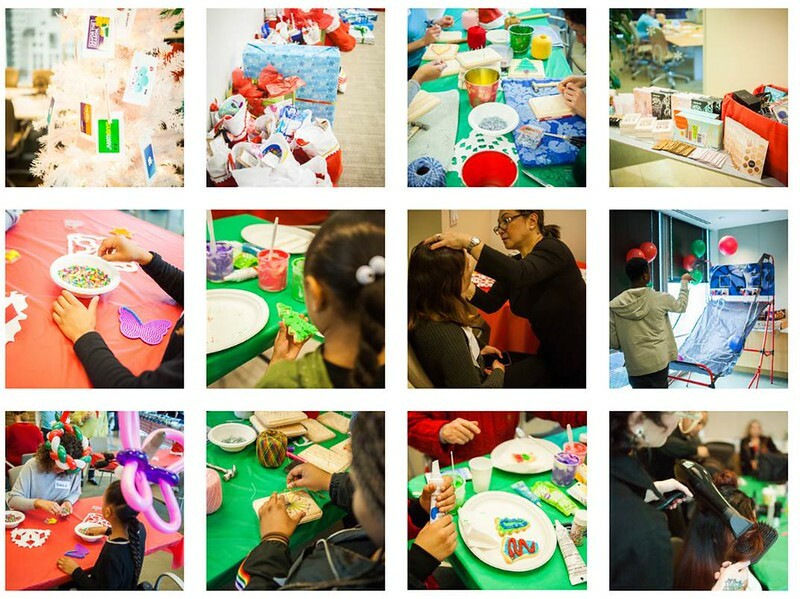 Last Saturday was one of the best days of the year - our annual Youth Holiday Party! Over 200 youth, CASAs, families and volunteers came together to celebrate the season. SFCASA Volunteer Debbie Degutis spearheaded an amazing event, with DLA Piper generously hosting again this year, and a delicious lunch provided by Olive Garden. Cinta Aveda Institute was there styling new hairdo’s and makeup, and we even had an awesome photo booth from Two Dudes Photos! Kids made crafts, had their faces painted and portraits drawn and got to connect with their friends and family. Our balloon artist Twistyman was back again and of course the bingo room was a huge hit! The kids even got to indulge in some delicious treats from Cakes 4 Kids and took home tons of prizes.